→How long can a cat go without water? 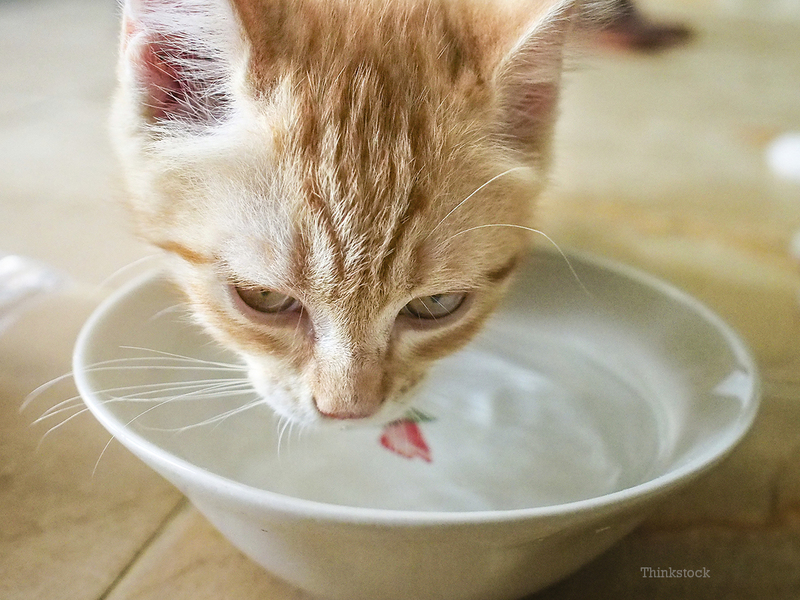 Most of us rarely see our cats drink water, this make us wonder how they can provide water to their body and how long could a cat survive without this essential element. First, you should know that cat’s body works just slightly different from our human body, it also needs water and food to stay functional but with a different amount and frequency. A cat can live for 2-3 weeks without food but can only last a few days without water. The rea son for this is because water plays a much more essential role in any living creature’s body. You may not notice this but your body could take about 2-3 litter day through drinking and eating. It’s because the human’s body is made from 70% water. There is water in our blood, our bones, and every tiny cell of the body. This’s also true with a cat. Water is so important for cat! Their body also need a large amount of water to sustain normal activities. All the organ parts of feline need water to fully function. Dehydration can cause dizziness, headache, and tiredness to them. If the dehydration becomes too severe, the cat could even lose consciousness. So it is really important to provide enough water for them. How long can a cat survive without water? Cats are considered semi-arid animals, which means they don’t need too much water a day to survive. And it’ll take a couple of days before the dehydration begins to affect the cat. And the symptoms will get worse and worse if it can’t find water. How to provide water for a cat? But if you rarely see your cat drinking, you shouldn’t freak out like most people would. Since cats are semi-arid animals, they often get water from their food and they only drink a little amount of water a day. So make sure to add more water to their food and don’t give them too much dry food, it’s not good for their digestive system at all. Increase water in cat food! You should teach them to eat veggies and rice. These food are healthy and will give them a large amount of water as well as other vitamins and fiber. I know these are very scary and uncomfortable thoughts but these information are necessary for you to take care your cat properly. So don’t skip because you might need them one day.